It is a pleasant surprise for many (us included) that Microsoft implemented support for the RDNSS (RFC 8106) option in Router Advertisements beginning with the Windows 10 Creators Update. Interestingly, I wasn’t able to find any official documents from Microsoft stating this. As we are involved in a lot of IPv6 related projects for our customers, the lack of RDNSS support for Windows and DHCPv6 for Android is a major pain point when implementing IPv6 in mixed client segments, as you need to implement both mechanisms to ensure that all clients do get the relevant network parameters. I won’t beat on the dead horse, but Microsoft’s decision is a huge step in the right direction and one can hope that one day Google finds a “compelling use case” to implement at least stateless DHCPv6 for Android. 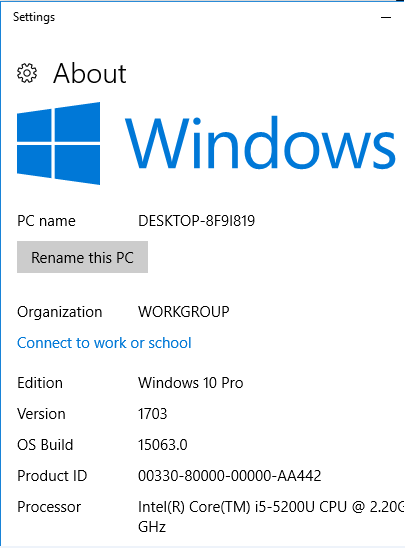 With this configuration, the Windows 10 system has two sources for the DNS server. Now, which of those will the Windows system choose? As the behavior of the feature isn’t described in official document (from MS), we were eager to find out 😉 When we have look at the ipconfig output after the provisioning of the IPv6 parameters, we can see that the system has installed the DNS supplied by the DHCPv6 server (even though the DNS server is also available over the RA). 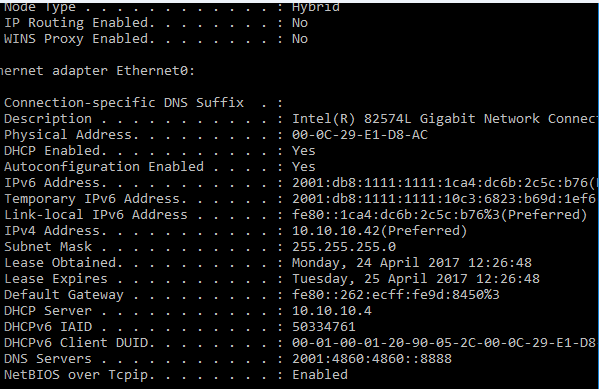 So, when does Windows 10 use the DNS provided over RA? 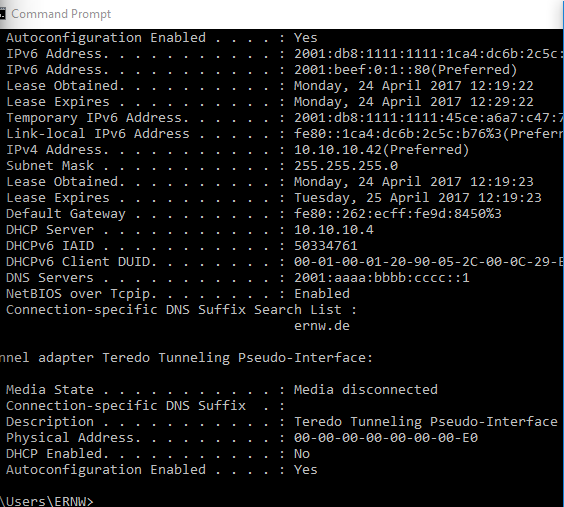 It turns out that Windows will use the RDNSS information (only) when it does not receive any DNS Server information over DHCPv6. RFC 8106 support finally arrived in the Microsoft space 😉 and works as desired. You should just take into account that Windows 10 is currently preferring the DHCPv6 supplied DNS over the RDNSS option (which is also what sect. 5.3.1 from the RFC mandates). This concludes the short blogpost. Have a great week everybody, and maybe we will see us in Budapest for RIPE74. I’ve noticed that if you run DHCPv4 you will not receive RDNSS adverts, even if it is configured.